It is hard to believe that we are only 2 days away from Halloween and the fourth annual Halloween ComicFest! I hope you are as excited as I am for this event that is filled with tricks and treats. For the fourth straight year, comic book shops around the world will be handing out free comic books to fans. In addition, you can participate in the greatest Halloween contest ever by clicking here and find a participating store by clicking here. 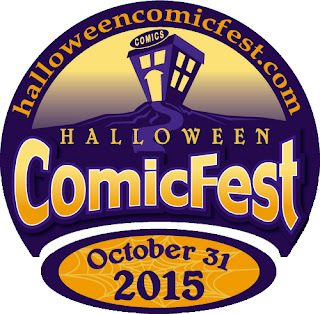 In what is becoming an annual tradition at Nerds of a Feather, I present to you my top five comics of Halloween ComicFest. 1. 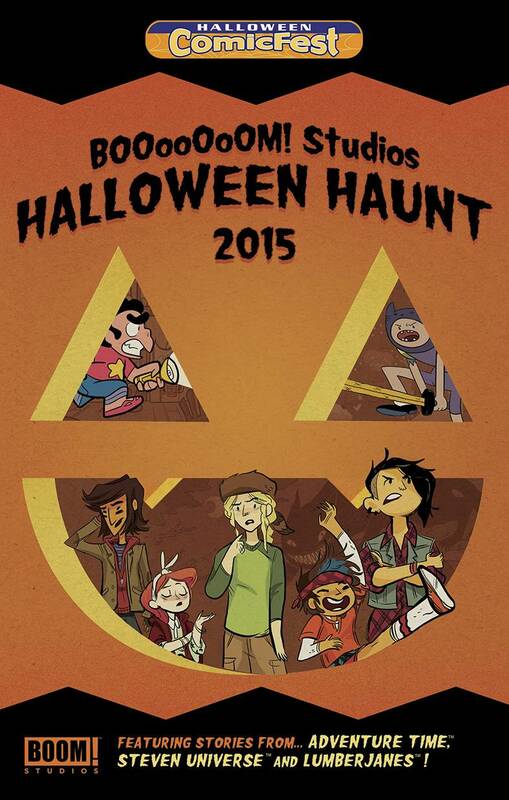 Boom Halloween Haunt - Featuring stories from Lumberjanes, Adventure Time, and Steven Universe, this is one book that will appeal to a wide variety of fans of all ages. Lumberjanes is a phenomenal series well worth your time and I hear those other two titles have a few fans. 2. 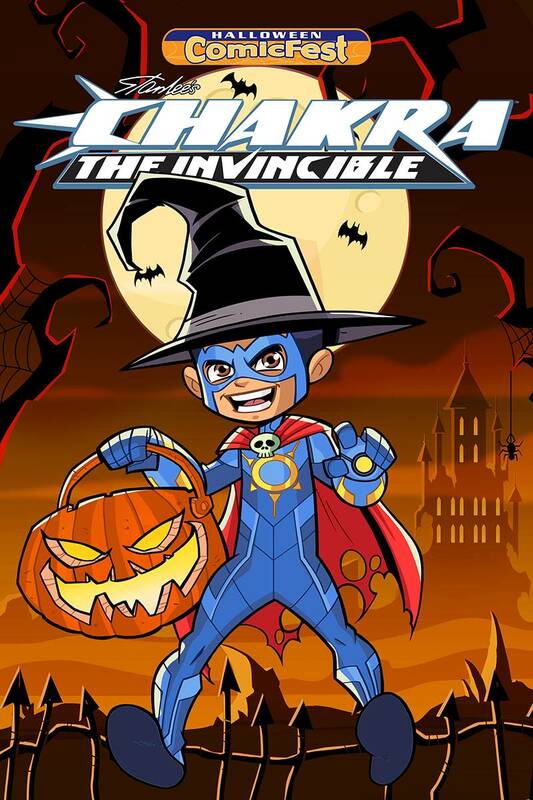 Stan Lee's Chakra The Invincible Halloween Special - Stan Lee's kids adventure that launched on Free Comic Book Day and is a featured animated short on Angry Birds ToonsTV, Chackra the Invincible has a Halloween special that is sure to delight your youngest comic book fan. I love that Stan Lee is making all ages books to bring in a new generation of comic book fans. 3. 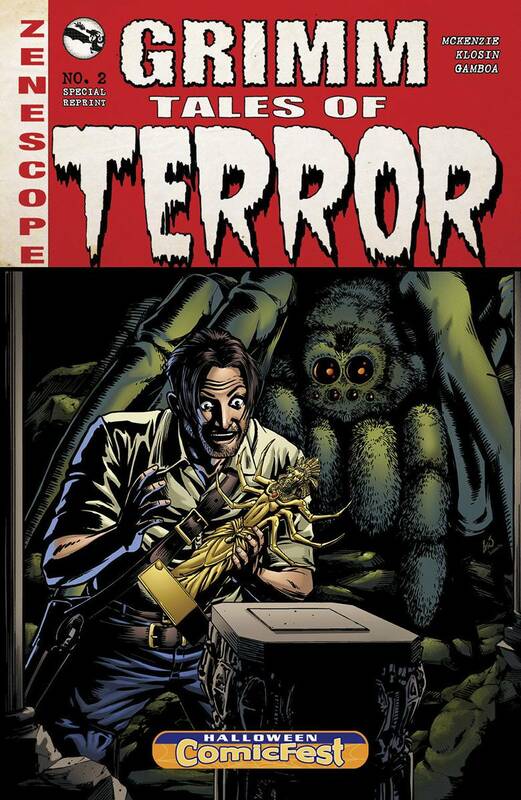 Grimm Tales of Terror: Web of Deceit - From Zenescope, we are treated to a reprint of Grimm Tales of Terror #2, a classic horror tale in the style of Tales from the Crypt and Creedshow. Definitely not an all-ages book, but a grizzley tale for the older readers that features a group of treasure hunters on the lookout for the priceless Spider King relic. 4. 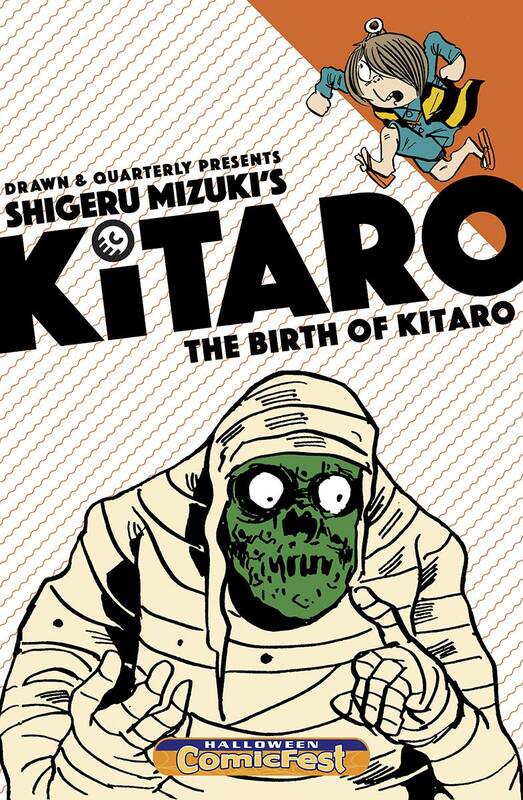 Birth of Kitaro - I don't know much about this series, but it is from the golden era of comics and is the origin story of Kitaro, a character created by Shigeru Mizuki. It is an all-ages supernatural series that includes stories about Japanese ghosts and monsters. Sounds very cool. 5. 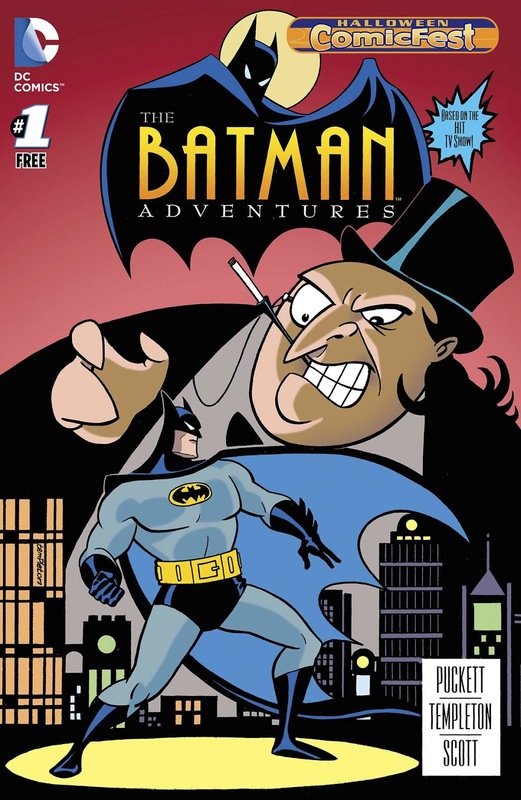 Batman Adventures #1 Special Edition - It is hard to make a list like this without a Batman comic. This year we are treated to a reprint of the first issue of the comic book that was a spin-off of Batman: The Animated Series. In this issue, Batman must square off against both the Joker and Penguin. Another great all-ages book that adults will enjoy as much as kids.